Whether you’re trying new medical spa marketing endeavors to promote your current services or contemplating new laser technologies to add to your armamentarium of non-invasive or minimally invasive procedures... the point is, you’re trying to increase your practice’s revenue during these challenged economic times. Patients are feeling the economic struggle as well as they want to keep up their aesthetic needs while trying to cut costs. I’m sure that many of your patients are very loyal and offering them cost-effective treatments can be a plus for both of you! In looking at my husband and business partner (the only physician in our practice), he’s pretty much strapped with what he can do in the course of his day. Fitting in injectables between laser lipo cases and laser cases can be tricky scheduling! Without having to hire additional personnel, or invest in expensive equipment (all that increase your overhead), one thought we have adapted is to use the staff we already have to help increase our revenue. One of the ways we did this was to increase our variety of chemical peels we offer to our patients. Some patients decide to forego the Palomar Lux1540 or Lux2940 treatment plan we offer due to cost or even downtime of the Lux2940 (it’s really only a few days, but to some people they can’t afford to take off work that much). The good, old-fashioned chemical peel has come a long way, but it’s still a tried and true facial resurfacing procedure that can tighten pores, remove dyschromias, and even smooth skin texture. They can be performed in a wide range of intensities and depth. 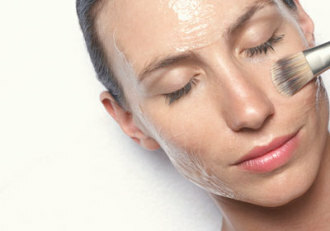 Deeper peels can be performed in the office while others can be worn home to be removed by the patient several hours later. You can step up the peels to get faster results, or more gradually. Plus, it gets your client valuable face-time with the aesthetician who is experienced in your skin care product lines and upselling procedures the client may truly benefit from (i.e., Botox, fillers, IPL photo facials, etc). Whether it be TCA Peels, AHA Peels, or even a Jessner Peel, peels are a wonderful service to offer in the springtime as your clients want to shed winter dry patches to reveal a more healthy looking glow!